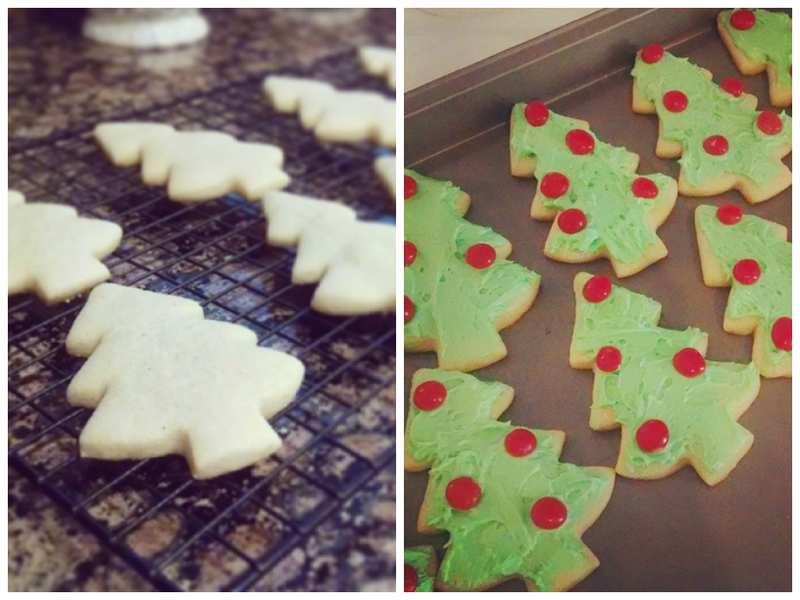 Mom, the Intern: Best-Ever Sugar Cookies! So, you may have noticed that I am now on Instagram. See my sidebar over there? Yep, it happened. I am now the proud owner of a smartphone. It took me long enough, right? What can I say -- I'm just CHEAP. We actually signed on with Republic Wireless which is about the coolest thing ever. No contract and plans starting at $10 a month (unlimited talk, text and Wi-Fi). For $25 a month you get unlimited talk, text and 3G. Pretty sweet. The phone I got is the beautiful Moto X by Google. I am loving it! By the way, I'm not getting paid to say this. I just can't help spread the word about something so great. Anyway, my first few Instagrams involved some beautiful sugar cookies which prompted a lot of questions about the recipe. These cookies are a family treasure -- my mom's been making them for as long as I can remember. She got the recipe from her way-too-talented cousin Catherine, so we've got to give her the credit. The recipe is so simple. I especially love the cream cheese frosting -- the absolute perfect balance of sweet and savory. These are the best the next morning ... for breakfast. In fact, I had one today. Yum-yum! Cream together the sugar and butter. Once creamed, add in one egg at a time and continue mixing. Sift together the flour, cinnamon and nutmeg. Add to creamed mixture little by little. Refrigerate dough for 1 hour. Roll out onto well-floured surface and cut out. Space evenly on a cookie sheet. Bake at 375 degrees for 6-8 minutes (edges should be slightly brown). Combined first three ingredients with electric mixer until flufffy. Add sugar gradually until creamy. Will frost the above cookie recipe perfectly, or one 9" round cake. I LOVE that frosting recipe!! It's my fave!! Jen actually gave me a really good sugar cookie recipe too but yours looks even simpler! Gonna have to try it! Why does everyone have to be posting fabulous pictures of cookies?? So hard being GF!!! Ugh! But these look phenomenal! I was GF last year! I know how you feel!